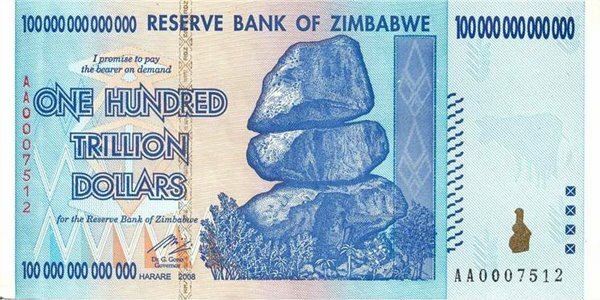 Imagine living in a country where the currency is so worthless that a trillion dollars doesn’t even buy a loaf of bread, a dozen eggs, or even a piece of bubble gum. Imagine living in that country and the press being silenced. Forced to follow the Party line or face punishment. Imagine a courageous Newspaper publisher with limited funds and the advertising agency that takes on such a dictator. This is the life for millions of citizens in Zimbabwe. Hyper-Inflation, loss of civil rights, and a dictator more concerned with his own self than his people. 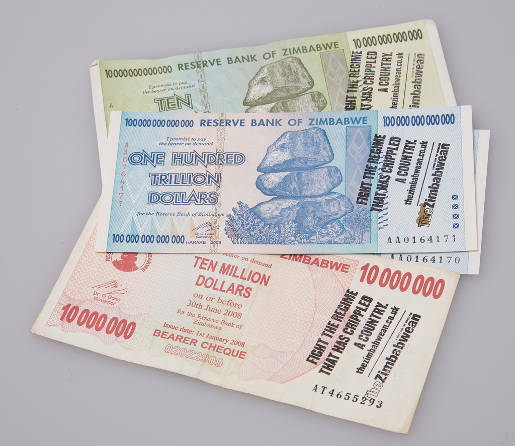 The Zimbabwean Trillion Dollar Campaign celebrates the freedom of speech – and after winning the Grand Prix in the 2009 Disruption Awards the jury at the 2009 Cannes Lions honored the South African campaign with an unseen amount of Cannes Lions: so far three Gold, one Silver and one Grand Prix. 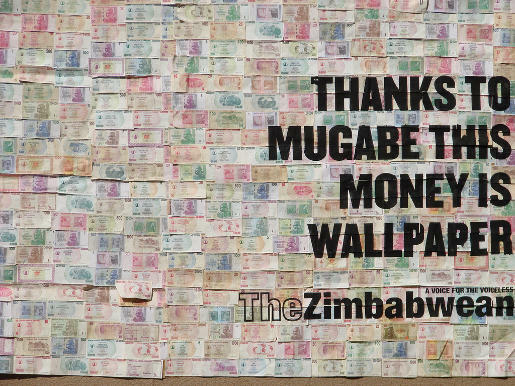 The campaign was designed to raise awareness regarding the plight of The Zimbabwean newspaper and consisted of various creative elements, including a billboard, all made up entirely of Zimbabwean Dollar bank notes. 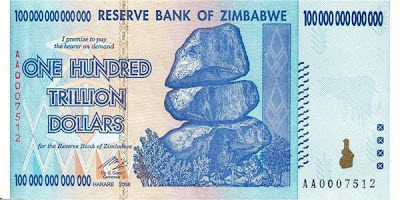 The newspaper, the brainchild of journalists driven into exile, is committed to providing independent and fair comment on Zimbabwe to Zimbabweans, and has had a ‘luxury’ import duty of over 55% added to it by the Mugabe government, thus making it unaffordable to the average Zimbabwean citizen. Robert Gabriel Mugabe is a tyrant. Ruling the nation of Zimbabwe with an Iron Fist, squandering its resources on frivolities, his wife believes that the national treasury is her personal spending account and her shopping trips to Paris, London, Rome, and New York are infamous. The Mugabes and their cronies live in splendor while their nation suffers. Drought, Cholera, Hunger stalk the nation. How much longer does the people of Zimbabwe have to suffer at the hands of this tyrant before the International Community cries enough? How much longer do we have to wait before President Barack Obama says something? Or will Mugabe become just another dictator in a line of dictators around the world that Obama will embrace? The people of Zimbabwe need our voices to be raised, for theirs have been silenced by their tyrant. If you wish to read the truth from Zimbabwe, you have the opportunity and ability to read The Zimbabwean. It is on-line and free to you. Unlike the millions living in Zimbabwe, you are fortunate to have access to the internet.